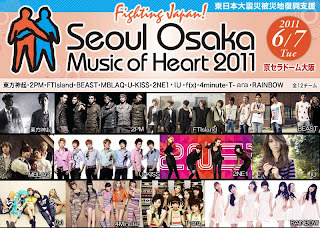 [Info] Seoul - Osaka Music of Heart 2011 FIGHTING JAPAN!! 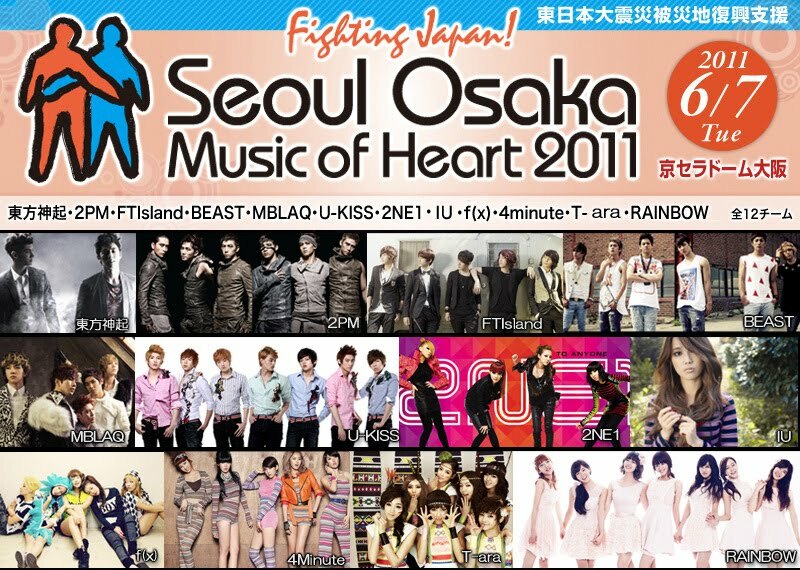 upport for the earthquake-affected areas"Seoul-Osaka Music of Heart 2011 FIGHTING JAPAN !" The concert will happen on June 7, 2011. Artists: TVXQ, 2PM, MBLAQ and all 12 groups of new and popular artists who will offered the voice of love and dreams to the world of Asia!